Rabbinic vs. Early Christian views on God: Was God really so grumpy? In my rabbinic thought class, we have been tackling the interesting issue of divine justice. In the realm of historical Judeo-Christian thought, how exactly does God go about judging humanity? What are the basic criteria God uses? Is God, at its core, a loving God, or an angry violent God? The answer I was raised with was pretty clear cut: God was both. On one hand he is loving, and on another he is so utterly exasperated with us, he might, in one angry flash, just hurl the surly lot of us into oblivion. God, in other words, is like that character Professor Quirell, in the Harry Potter books — a head with two faces, one on either side, and you are never entirely sure which one you are going to get. Classic Christian dogma says that these two faces of God represent an evolution from an angry God in Hebrew scripture to a kinder, gentler God in Christian scripture. Just for fun, I decided to Google the phrase “angry God, loving God, Old Testament, New Testament” and I found over 100,000 links containing these words. Randomly clicking on them yielded all sorts of “reasons” for this divine evolution. To paraphrase, they included such ideas as: “People needed strict rules and a heavy hand in the beginning but didn’t need them later on.” To be fair, there were also Christian websites and blogs that argued against this stereotype, and which quoted a variety of passages from the Hebrew Bible in which God is clearly loving, patient and forgiving. The biblical texts are what they are. In Hebrew scripture, God does do a lot of smiting and his nostrils do do a lot of flaring. And, there are many softer, gentler passages to temper this image as well. What is interesting from a Jewish perspective on this debate though, is this: How did the early rabbis perceive their God? Rabbinic Judaism rose up in the ashes of the fallen Second Temple — the same time as Christianity built its foundational texts. How did this next stage in Jewish evolution and textual tradition look back on Hebrew scripture? Isaac then does a complicated mathematical deconstruction, arguing — in the best Jewish lawyerly fashion — for just how little we Jews have really sinned. An average man lives 70 years, but 20 of those you don’t punish for, so it’s now 50 years, he says. Half of those were at night — how could we be sinning when we’re sleeping? — so it goes down to 25. Half of that time was spent praying, eating and attending to “nature’s calls” (whatever that means), so it’s now down to 12.5! So in other words, Isaac says, if you really want to punish us, you can only punish us for 12.5 out of the 70 years. Oh, and by the way, remember how I almost offered up my own life for you? Just wanted to mention that . . . Does God punish humanity for the 12.5 years? The text mysteriously does not say. But we can presume not, as the topic shifts elsewhere. What we see in this agaddah, this rabbinic tale, is a depiction of a God who even when egged on and urged to destroy humankind, keeps hunting until he finds someone to defend them. He seems to readily, and without argument, accept the defendant’s argument for a significantly reduced punishment, and then, seemingly, doesn’t level any punishment at all. 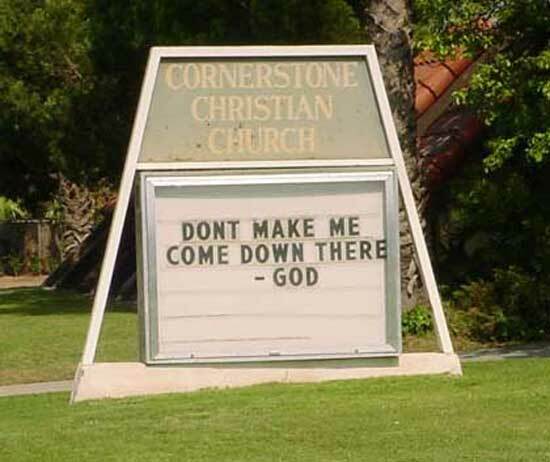 Not exactly an angry, fire-in-the-brimstone God! This portrayal of God is the standard, not the exception in rabbinic-era literature. And this leaves us with a striking and important conclusion: For reasons unbeknownst to us, Jews and early Christians, living in the shadow of the lost Temple, both began to develop a conception of a more compassionate, caring, slow-to-anger God than the texts of their inherited tradition. The idea that God maybe wasn’t so angry after all was not an evolution unique to Christianity. It was a fundamental idea of rabbinic Judaism too, which modern Jews are an outgrowth of today.